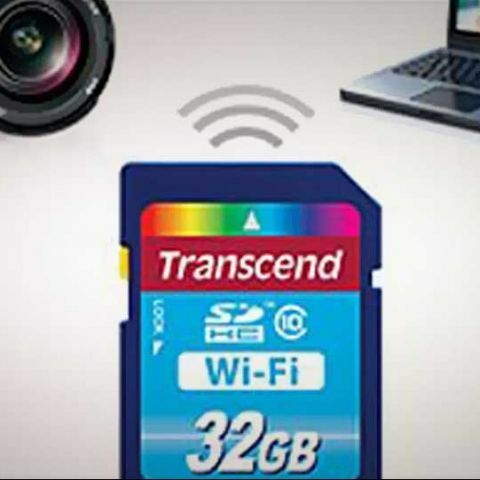 Transcend has launched a brand new product to its range of memory card offerings – the Wi-Fi SD memory card, with integrated wireless capability for SDHC-compatible digital cameras. The card, via the use of Wi-Fi networks and a Wi-Fi SD app, lets users transfer images from their camera to their laptops and/or smartphones immediately after capturing them, via wireless networks. The Wi-Fi SD card has two modes it can function in: Direct Share Mode and Internet Mode. In the Direct Share Mode, as the name suggests, uses can transfer images directly between camera and phone by establishing a peer-to-peer connection, ideal for those times when you’re in the middle of nowhere and don’t have access to a Wi-Fi network. Using the Wi-Fi SD App, users can switch between Direct Share Mode and Internet Mode instantly. Internet Mode connects directly to any Wi-Fi networks in the facility, even picking up the personal hotspots provided by smartphones. When connected in this mode, users can browse and download photos from the Card via the App, and even share them instantly via email and/or social networking through their phone. The App is available for the iOS and Android platforms, and is free-to-download from the iTunes stores as well as the Google Play store. Apart from this app, laptop and PC users can also access the data on the Card via an interface that can be opened up in any standard browser window. The SD Card is available in 16 GB and 32 GB formats for US $69 and US $99 respectively. Overall, this is a very handy tool for shutterbugs and photography/video-capture enthusiasts who need extra storage on-the-move and/or like to take backups of their images/videos, similar to the Eye-Fi range of memory cards. Using the enhanced connectivity offered by these cards, you’ll be able to share and view your high-resolution photos on your smartphone/laptop/computer as soon as they are taken. Can i add wi-fi card to my desktop PC ?